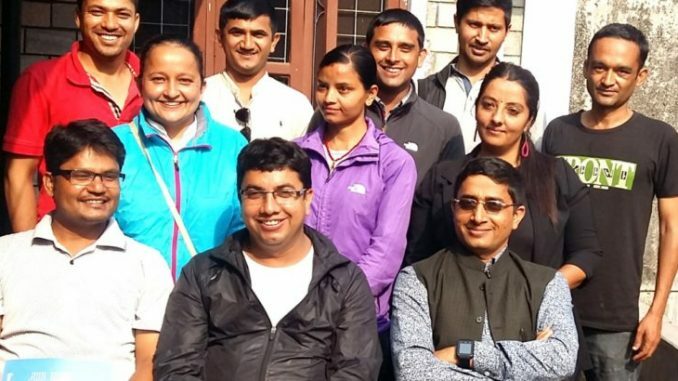 Pokhara—Kantipur Daily Pokhara reporter Deepak Pariyar has been selected chairman of the Forum of Tourism Journalists Pokhara. A gathering of journalists who have been writing on tourism sector has formed an ad hock committee targeting Province 4 on Wednesday. At the same time Sagar Raj Timilsina from AP1 TV, Surendra Paudel from Arthik Abhiyan, Smita Adhikari from Samadhan Daily and Krishna Dawadi from Himali Awaj have also been selected as vice chairman, secretary, joint secretary and treasurer of newly formed committee. Phto journalist Radhika Kandel, Gita Rana Magar from ABC TV, Tara Paudel from Citypokhara.com and Sribhadra Paudel from Adarsha Samaj daily have represented as the member of the committee. The first meeting of the newly formed committee also has selected four advisors- Rup Narayan Dhakal from The Himalayan Times daily and Recentfusion.com, Santosh Pokhrel from Nagarik daily, Basudev Paudel from RSS and Krishna Mani Baral from Annapurna Post Daily. Nepalkhabar.com correspondent Basudev Mishra and secretary Paudel are the members of statute drafting committee headed by Pokhara Hotelime Daily chief reporter Bibhu Bhusal.